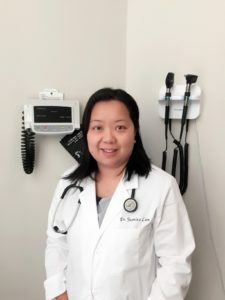 After graduating from York House School in 1997, Jasmine attended the University of British Columbia for her undergraduate studies majoring in Pharmacology & Therapeutics and minoring in Commerce, as well as for her degree in Medicine. She then did three years of training in General Surgery residency and completed her Family Practice Residency. Today, she owns, operates, and practices at Forward Care Medical Clinic (a multidisciplinary centre) and also works at GF Strong Hospital. In her “spare time”, Jasmine is a busy working mom of two children and also enjoys travelling. She has special interest in providing and promoting medical education. Jasmine is a UBC Faculty of Medicine Clinical Instructor and on the Residency Admissions committee.